Gerald J. Kamwenda is Forest Officer – Management Information Systems, in the Forest and Beekeeping Division, Ministry of Natural Resources and Tourism, Dares- Salaam, United Republic of Tanzania. Indigenous knowledge helpsrestore forest and mitigate dryseason fodder shortages. Environmental degradation resulting from extensive grazing and haphazard exploitation of rangeland forestry resources is a severe problem for the agropastoralists of Shinyanga, a northeastern region of the United Republic of Tanzania. Threats to livelihoods and the environment in this region include, among others, shortage of dry season fodder, deforestation, woodfuel scarcity, food insecurity and severe soil erosion. However, a traditional management system locally termed “ngitili” (dry-season fodder reserves) among the Wasukuma agropastoralists of Shinyanga has proved to be instrumental in range management and forest restoration. The system at the same time alleviates dry season fodder shortages, prevents environmental degradation such as soil erosion, and helps conserve biodiversity. It is estimated that between 350 000 and 500 000 ha of woodland were restored in the period from 1986 to 2001 (Kaale, Mlenge and Barrow, 2002). Ngitili are farmer-led initiatives evolved from traditional strategies for grazing and food security (Kamwenda, 1999). The system involves retaining an area of standing vegetation (grasses, trees, shrubs and forbs) from the onset to the end of the rainy season. The ngitili area remains closed to livestock at the beginning of the wet season and is opened up for grazing at the peak of dry season. The Wasukuma rules for protecting individual and communal ngitili are based on traditional village guards (sungusungu) and community assemblies (dagashida). These customary institutions are still important in contemporary natural resource management and have contributed to the successful management of ngitili, and particularly in adapting to the increase in herd size, which has grown above subsistence level. Unfortunately, the validity of ngitili as a silvipastoral system has remained unknown as a best practice for broader adoption or adaptation. To facilitate its extension, an iterative diagnostic and design (D&D) survey (a World Agroforestry Centre [ICRAF] methodology) was conducted in the Meatu district to identify the components, structure, management and technological specifications of the system. This survey was combined with qualitative land evaluation to establish the potential suitability of land for ngitili in comparison with extensive grazing. The study was conducted in the Meatu district of Shinyanga region, Tanzania. The district covers 8 871 km2 (UnitedRepublicof Tanzania, 1996). Altitude varies between 1 000 and 1 500 m above sea level, with detached hills and grassy savannah woodlands (mbugas). Between October and May the district has high, erratic, unpredictable rainfall, with two minor seasonal peaks in December and March to April (United Republic of Tanzania, 1996; Otysina and Asenga, 1993). Precipitation, which occurs in brief storms, is lost through quick surface runoff and high evapotranspiration rates. Dry-season precipitation, May to November, is under 50 mm per year . The monthly evaporation rate exceeds the monthly rainfall almost every month (Ministry of Tourism, Natural Resources and Environment, 1995). The native vegetation of Shinyanga is composed of shrubs (4 to 6 m high), often thorny and usually deciduous, and trees reaching up to 10 to 15 m. The herbaceous layer that occupies the open spaces suffers severe livestock grazing pressure. The miombo woodlands of Shinyanga are currently dominated by Brachystegia, Julbernardia and Isoberlinia species. Other important species are Combretum collinum, Baikea spp., Lonchocarpus capasa, Azanza garkeana, Albizia spp. and Dalbergia melanoxylon. Acacia woodlands consist mostly of Acacia tortilis, A. nilotica and A. polyacantha, while other important species in this agropastoral land include Adansonia digitata and Tamarindus indica (Kamwenda, 1999). The population of Meatu is dominated by the Wasukuma, who are traditionally agropastoralists. Economic activities in the area include cultivation of food and cash crops, cattle rearing and mining (Maro, 1995). Cattle ownership indicates social status and financial capital. Livestock keeping is the second largest activity in Shinyanga, after agriculture (URT, 1996). The animals provide milk and manure and are of increasing importance for draught power (Mugasha, Isinika and O’Kting’ati, 1996; Kamwenda, 1999). In Meatu there are two dominant land-use systems, the cotton-cereal system with cattle and the traditional Wasukuma agropastoral system. Under the former system farmers emphasize subsistence food production more than cash crops. Food crops are maize, cassava, sorghum, beans, rice, chickpeas, groundnuts and sweet potatoes. Farmers own cattle, but herds are smaller than under the traditional agropastoral system. The main constraints for farmers are soil erosion and declining soil fertility (Mugasha, Isinika and O’Kting’ati, 1996; Kessy et al., 1988). The local agropastoral system involves individually farmed arable plots and communally or privately owned grazing lands. The cropping units are generally small. Food crops grown in the system are maize, sorghum, bulrush, millet, cassava, rice and chickpeas. Livestock plays a major role next to the agricultural component. Herd size in this system is above subsistence level, and cattle require extensive use of land resources. Cattle not only provide milk for home consumption and draught power, but also fulfil social functions (prestige and bride price). A gradual increase in the human and livestock populations has led to a number of constraints such as land shortage for grazing, soil exhaustion, deforestation, fuelwood shortage and lack of fodder for livestock (Mugasha, Isinika and O’Kting’ati, 1996; Kessy et al. 1988). The most important constraint limiting livestock production and food security in the area is the shortage of dry-season fodder, especially in years with insufficient rainfall (Maro, 1995; Kamwenda, 1999). Meatu district was evaluated for its suitability for extensive grazing under silvipastoral land use based on land and environmental conditions (Table 1). Because the humid period when precipitation is greater than evapotranspiration is very short (78 to 142 days for the past ten years), the growing period is not suitable for pasture growth. Most of the year vegetation survives on stored soil moisture, and the growing period ceases as soon as the rainfall falls below evapotranspiration. The sufficiency of water for pasture in Meatu was rated moderately suitable, based on the effective soil depth (50 to 90 cm) and rainfall ranges (600 to 1 000 mm per annum). The district temperature regime of maximum temperature 27.6oC to 30.2oC and minimum temperature of 15oC to 18.3oC, with mean temperature of 22.6oC to 24.6oC, is moderately suitable for pasture. The soils are mainly red to yellowish, freely drained tropical soils (latisols), judged suitable for pasture. The greater part of the soils of Meatu are still regenerating and with time can develop reasonable nutrient sufficiency status, particularly under natural regeneration of vegetative cover (District Rural Development Programme, personal communication, 1997). Thus, based on land qualities, Meatu would be moderately suitable for extensive grazing, if it were not for the erosion hazard, which is severe in all places. The ngitili system appears to be a viable alternative. Ngitili areas are traditionally established on degraded land and around homesteads. They vary in size from 0.2 to 20 ha for private ones to 50 ha for communal ngitili (Maro, 1995). The boundaries are usually not rigidly marked, and physical barriers are not established, but ownership rights are well respected. The ngitili are protected by by-laws enforced by the local guards (sungusungu), and offenders must pay penalties. The site selection for ngitili establishment is influenced by land availability, proximity to homesteads and ease of protection. Initial siting of the area is the responsibility of the household head. In the case of private or communal ngitili, a group of elders becomes responsible (Kilahama, 1994a). The potential sites are demarcated at the beginning of the wet season. Once the ngitili are demarcated and closed for protection, very little or no management is required during the rainy season. Grazing starts from July or August, after the crop residues and fallow vegetation have been depleted. The most common system involves temporary demarcation of paddocks for specific periods. Upon the completion of fodder on a particular paddock, animals are moved to a fresh paddock. The demarcation of paddocks and the movement of animals between them is controlled by experienced elders, who make management decisions on the basis of specific indicators such as the utilization level and the availability of fodder. The Wasukuma over the years have developed systematic management practices for ngitili. Management is aimed at optimizing fodder and thatch grass production and growth of other vegetation species, hence improving biodiversity. Large trees which would possibly deter grass growth are deliberately removed, while fodder trees are protected. Most of the trees that now exist in ngitili are believed to influence grass production and the general fodder situation (Kilahama, 1994b). Ngitili have two major components: vegetation and animals. The animal component encompasses mostly goats, cattle, sheep and donkeys. The interaction of livestock with vegetation has a significant role in the management and sustainability of the system. Two distinct vegetation strata are identifiable, an upper stratum dominated by Acacia tortilis, A. nilotica, A. polyacantha and A. seyal, and a lower stratum of grasses, herbs and forbs. The structure and composition of ngitili are highly influenced by location, age, management practices and intensity of use. The study identified 17 commonly grazed fodder grasses, 25 commonly browsed herbs and forbs and 25 browsed tree species used in ngitili (Table 2). The potential of ngitili as a silvopastoral practice was evaluated based on criteria for evaluating agroforestry set forth by FAO (1977, 1979, 1993a, 1993b) and Raintree (1987) (Table 3). It was found suitable by virtue of meeting required levels of sustainable production of dry-season fodder supplies, food for security and mitigation of land degradation such as severe soil erosion and deforestation. Moreover, ngitili as a traditional practice has a great potential of improving the ecology of the soils and biodiversity of the sites, where trees, grasses, herbs and forbs grow together. Trees stabilize the soils because they are usually rooted deeply, and they enrich the surface soil with their litter (leaves, flowers, twigs and branches). The extensive ground cover reduces runoff, helps prevent soil erosion and facilitates water infiltration, percolation and storage in soil. Two important lessons can be drawn from the Shinyanga example. First, ngitili is a traditional development and conservation mechanism, as opposed to an externally imposed cure for perceived (and sometimes real) land degradation problems. The people have developed and applied detailed knowledge about natural resource management through the ngitili practice. Second, customary institutions provide a strong social structure for implementing improvements and changes. Since the introduction of participatory extension in 1986, replacing the previously top-down extension approach, a remarkable change in attitudes towards woodlands and grasslands and their restoration has been realized. Forest and woodland restoration is not just the responsibility of government. The ngitili case study demonstrates that rural farmers and villages can restore significant areas provided the incentives are right. In this case the two main drivers for adopting the restoration practice were the need for dry-season forage for livestock and increasing needs for timber and non-wood forest products. The individual areas restored may not be large, but the number of people who either individually or jointly own them is great, and they are spread widely over the region. Legal instruments for protecting ngitili are based on traditional rules and village by-laws and are not externally imposed. Traditional rules are informal and neither documented nor enacted by a defined legal body. The main advantage of using them is that most people strictly adhere to them. Village-level by-laws are formal legal instruments. Experience has shown that villagers do not always adhere to bylaws unless they are linked to, or formalize, customary rules and regulations, or unless the villagers have a strong sense of ownership of the by-laws. In the Shinyanga region, customary rules and village bylaws are complementary. The choice of whether to use customary or statutory regulations depends on the problem or issue that needs to be addressed, the village leadership and the social set-up of the village. The external validity of these findings remains a challenge to researchers, while their local validity could invite interesting possibilities for extension. FAO. 1977. Land evaluation guidelines for rainfed agriculture. Report of an Expert Consultation, 25-28 October 1977. Rome. FAO. 1979. Land evaluation guidelines for rainfed agriculture. Report of an Expert Consultation, 12-14 December 1979. Rome. FAO. 1993a. FESLM: An international framework for evaluating sustainable land management. Rome. FAO. 1993b. Guideline for land-use planning. Rome. Kaale, B., Mlenge, W. & Barrow, E. 2002. The potential of ngitili for forest landscape restoration in Shinyanga Region – a Tanzania case study. Paper for the International Expert Meeting on ForestLandscape Restoration, San José, Costa Rica, 27-28 February 2002. Kamwenda, G.J. 1999. 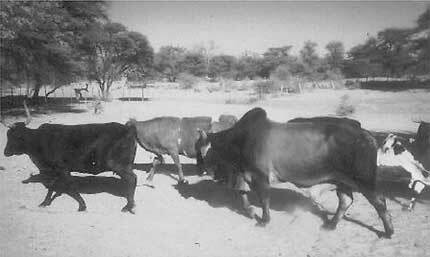 Analysis of ngitili as a traditional silvopasture system among agropastoralists of Meatu, Shinyanga, Tanzania. Unpublished M.Sc. dissertation, SokoineUniversity of Agriculture, Morogoro, Tanzania. Kessy, B.S., Mwihomeke, S., Mbonika, R.S. & Shishira, E. 1988. 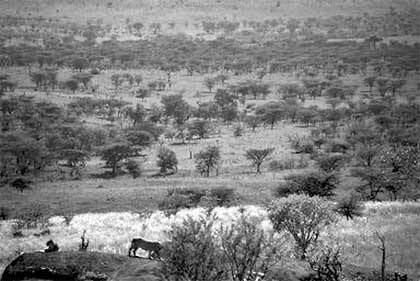 A blueprint for agroforestry research in the unimodal upland plateau of Tanzania. Report presented to the Government of Tanzania. Agroforestry Research Network for AfricaPaper No. 6. Nairobi, Kenya, ICRAF. Kilahama, F.B. 1994a. Trees and indigenous ecological knowledge about agroforestry practices in the rangelands of the Shinyanga region, Tanzania. Unpublished Ph.D. thesis, University of Wales, Bangor, Wales. Kilahama, F.B. 1994b. Indigenous ecological knowledge. A vital tool for rural extension strategies. A case study of Shinyanga region, Tanzania. Forests, Trees and People Newsletter, 24: 30-35. Maro, R.S. 1995. In situ conservation of natural vegetation for sustainable production in agropastoral system. A case study of Shinyanga, Tanzania. M.Sc. thesis, Agricultural University of Norway, Ås, Norway. Ministry of Tourism, Natural Resources and Environment. 1995. HASHI Phase II Programme Report 1996/97. Dar-es- Salaam, Tanzania. Mugasha, A.G., Isinika, C.A. & O’Kting’ati, A. 1996. Hifadhi Aridhi Shinyanga (HASHI/ICRAF). Agroforestry Research Evaluation Report. Dar-es- Salaam, Tanzania, Ministry of Natural Resources and Tourism. Otysina, R. & Asenga, D. 1993. Tanzania/ ICRAF Agroforestry Research Project Annual Progress Report 1992/93. Shinyanga, Tanzania. Raintree, J.B. 1987. An introduction to agroforestry diagnosis and design, D&D users manual. Nairobi, Kenya, ICRAF. United Republic of Tanzania. 1996. Shinyanga regional social economic profile. Dar-es-Salaam, Tanzania, Planning Commission, Regional Commissioners Office.